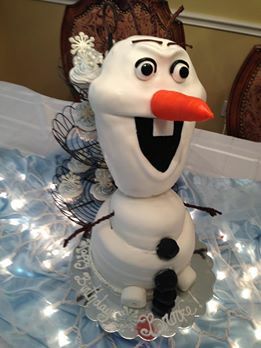 Olaf was a creation for a sweet little girl’s 6th birthday party! I forgot to take my camera with me to the venue so her grandmother was sweet enough to send me a picture of the cake. 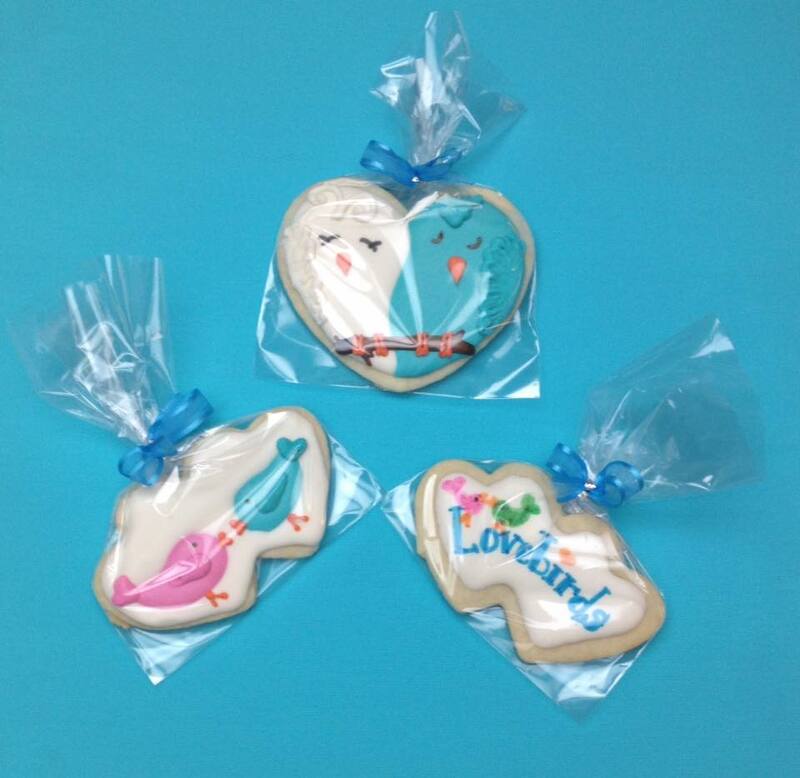 Olaf’s head is sculpted cereal treats covered in buttercream and fondnt with modeling chocolate details. His twig eyebrows, hair, and arms are piped candy melts. His two-tier body is strawberry cake covered in vanilla buttercream and topped with fondant with sculpted fondant details. His cupcake friends are vanilla cake topped with vanilla buttercream and sprinkled with silver and blue edible glitter. 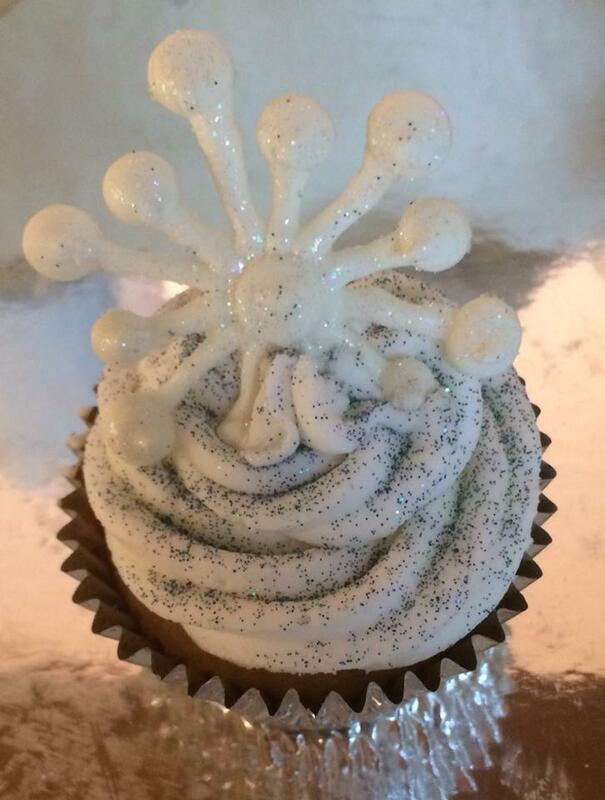 A hand-piped candy melt snowflake tops off each cupcake. Happy birthday, Brooke! Do you want to build a snowman? Posted in UncategorizedTagged birthday, cakes, fondant, Frozen, girl, OlafBookmark the permalink.